We’ve been home about two weeks now from our trip of a lifetime. We loved it all. 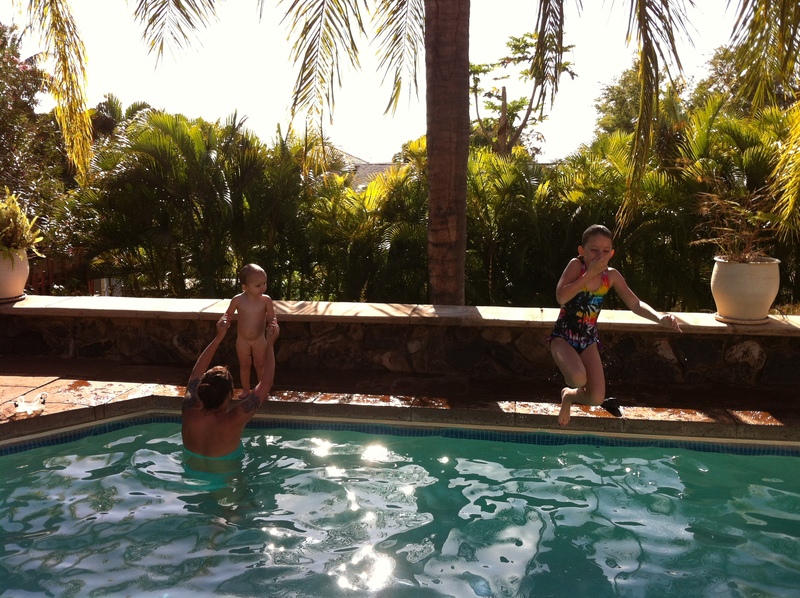 We got two weeks with our daughters and granddaughters, just missed our son-in-law. 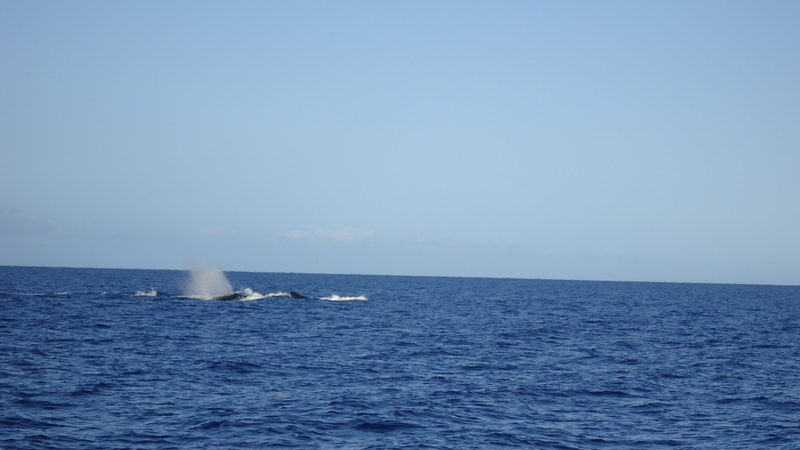 We spent a week with various other family and friends. We swam, snorkeled, sailed, ate, worshiped, hiked, watched cliff divers, saw waterfalls, ate poi and coconut milk ice-cream. I could go on and on. 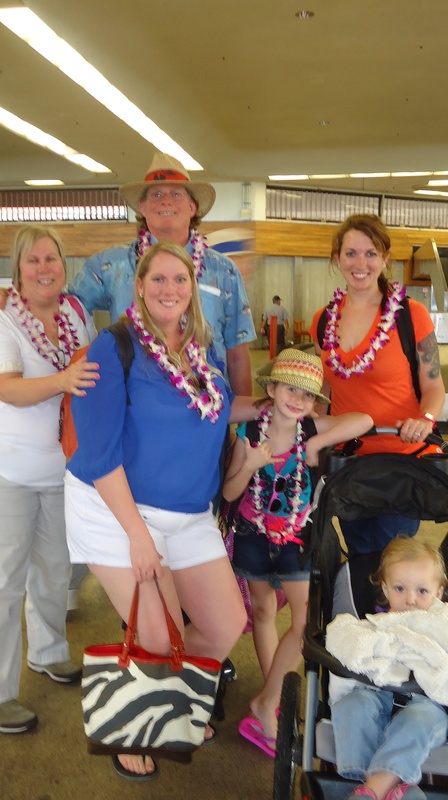 Our arrival with a lei greeting at the airport. 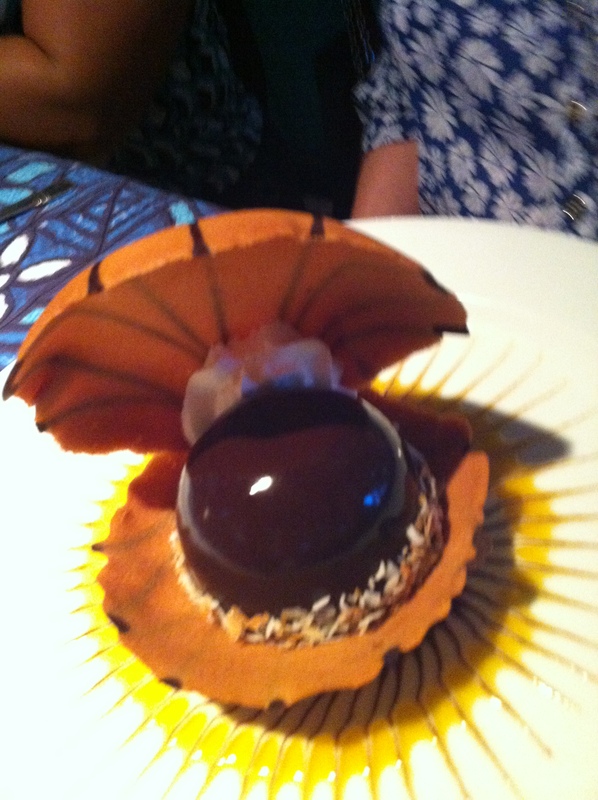 Yummy food, including this gorgeous “pearl” dessert at Mama’s Fish House on Maui. A true highlight for me was the Easter Sunday service we attended at Kihei Hope Chapel. We attended church there 4 of our 5 Sundays on the island. We also visited Waipuna Chapel upcountry and enjoyed it very much too. Hope Chapel was near our house so we became vacation regulars there. On Easter Sunday the offertory was a worship hula that was amazing. I’ve never been a fan of worship dance. 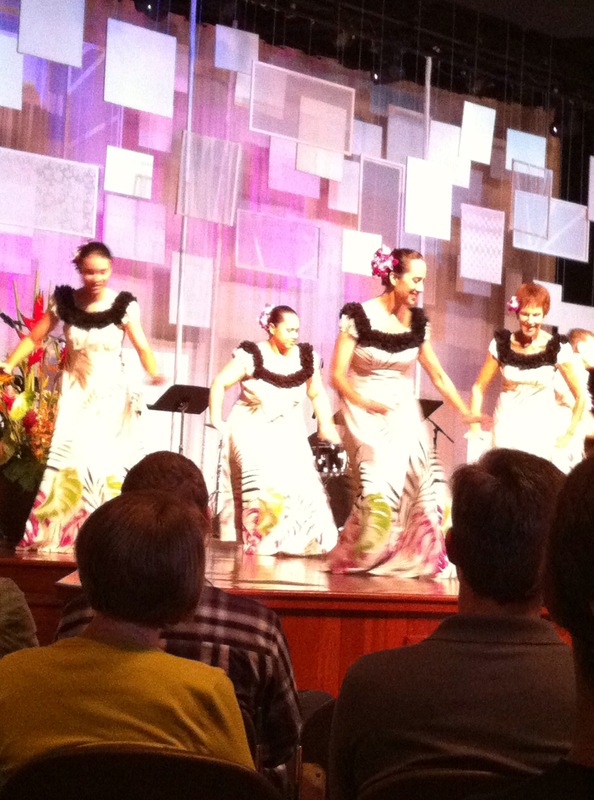 It seemed more like a performance than a worship to me, but the hula was pure worship. I could listen/watch/worship with them every week. I also had the opportunity to chat with Robin Jones Gunn. She’s my daughters’s favorite author from their teen years. I’ve met her at writer’s conferences and arranged to “bump into” her with my girls. Then she invited me to join her at a book club discussion about one of her books, Sister Chicks on the Loose. I had a great time and really enjoyed the discussion that touched on some of what I talked about last week. Fear. Adventures. Girl friends. It was a really fun time and I felt blessed to be included. All in all, it was a good trip. I didn’t feel homesick for either my dog or my pillow. We were so busy that I didn’t have time to miss anyone. It was everything we hoped and prayed for. P.S. : Today is my birthday. I have a free book for the first person to comment below. And another free book for a random number that I’ll ask my husband for tomorrow. Please comment! Thanks for sharing the highlights. Love Robin Jones Gunn too. From now on you are my SisterChick! Amber and Jen, you both win! I’ll deliver the books the next time I see you!